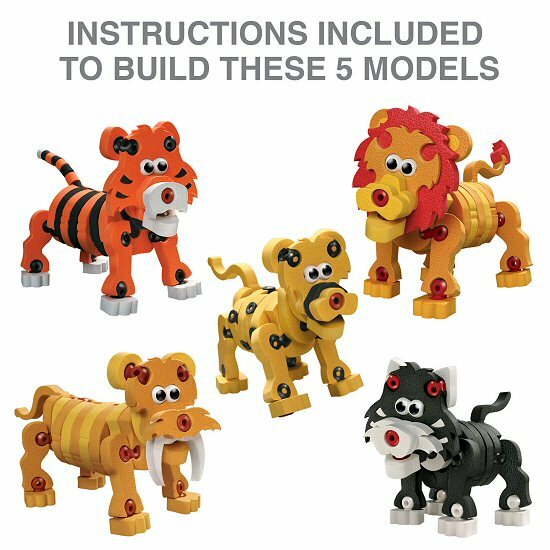 With this amazing Wildcats Bloco foam building set, you can follow the instructions to build lions, a tiger, leopard, black cat, and saber tooth tiger, or let your creativity take over and construct wildly wonderful creatures based on your own imagination! 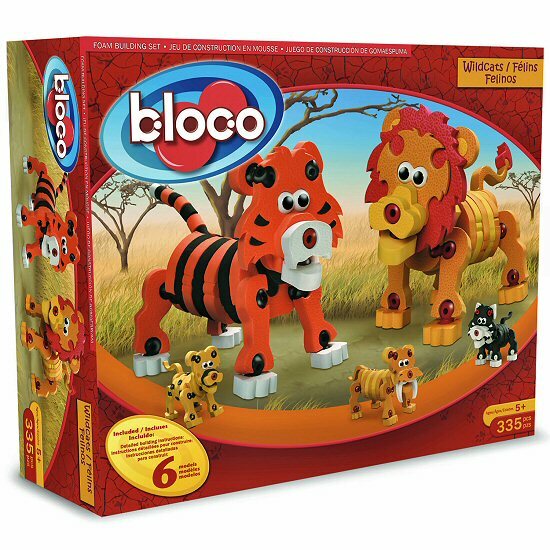 And once you've assembled your tigers, lions, leopard, cat, or other fantastic feline creations, these Bloco toys go from creating to playing as they are durable enough for imaginative play and adventure. This Bloco Wildcats foam building set is an edutaining toy that builds motor and spatial skills and with the ability to take your creations apart and start again, you'll enjoy hours of creative construction and play. Note: The tiger and lion can be built simultaneously. 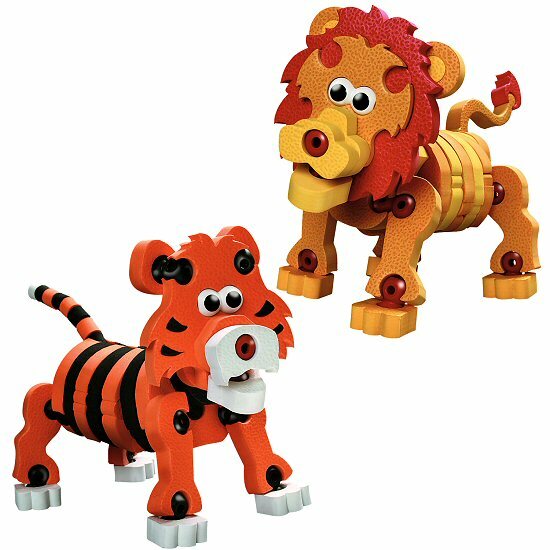 This Wildcats construction set can be combined with other Bloco foam building sets to create even more interesting creatures.